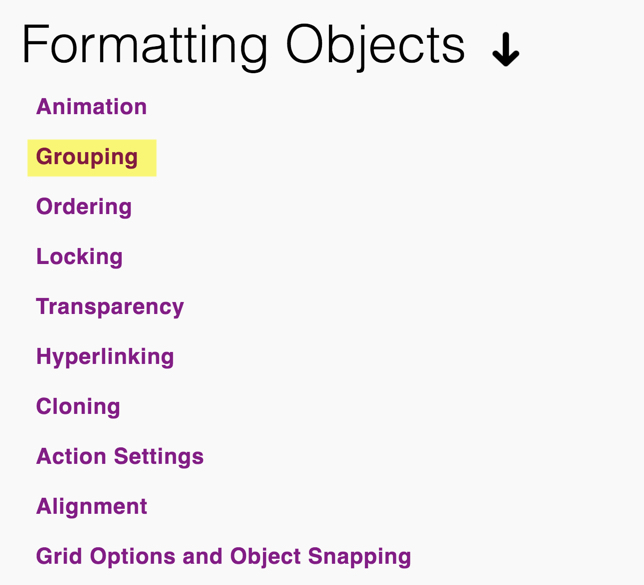 Grouping objects in MimioStudio is an essential formatting skill for creating lessons. It keeps objects together and is great for creating labels or objects with several pieces. Use grouping in MimioStudio to create an “answer key” for a Mimio lesson. When students complete the activity, they simply drag the completed answer key over the activity to reveal the answers and check themselves (Click to see it in action!). This is done quite frequently in lessons downloaded from MimioConnect. If you’re looking for more MimioStudio how-tos, don’t forget to check out the on-demand video tutorials located on the Boxlight-Mimio website. Follow the navigation path below to get to Video Tutorials. Once you arrive at the On-Demand Video Tutorials page, skills like Grouping will be found under Formatting Objects. Have you used grouping objects in MimioStudio in a fun lesson? Tell us about it or send a picture of your lesson in action and we’ll send you an Engaging Technologies t-shirt!